Game description: Oh no! Old man Nebbercracker's house is eating anything and anyone who gets near it, and Halloween is almost here! 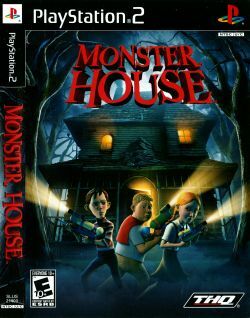 So grab your Water Blaster, gather up your courage, and get ready to explore the Monster House™ to find out its secrets. USA v02.20(10/02/2006), Rarely Can appear a little imperceptibles glitchs in hardware mode,but not a problem,in software mode fine . This page was last edited on 5 February 2017, at 18:13.